Dinesh Guptra from Mumbai, B.Sc Graduate. Dinesh Guptra is Network Engineer and currently have no work experience. SWITCH & HUB INSTALL.. ROUTIING AND SWITCHI.. EIGRP OSPF BGP RIP MPLS MC..
are one of expert skill area's of Dinesh Guptra . 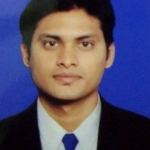 Dinesh Guptra is working in IT Hardware industry. OSPF BGP RIP MPLS MC..